As spring approaches, the time is almost here to do a good cleaning and disinfecting of your poultry facilities after the long winter. This is especially true if you are considering bringing in new birds or replacing your flock, be they layers, meat birds or show birds. Decontaminating your poultry house is crucial in order to prevent Marek’s disease, mycoplasma, respiratory viruses, E.coli, mites, and other poultry health problems. Even more important is the control of Salmonella Enteritidis (SE), especially in laying hens. SE can colonize in a chicken’s intestinal tract without necessarily causing obvious disease in the chicken itself. This may lead to the organism invading other tissues and eventually finding its way into the reproductive tract and ovary, contaminating the egg itself. In order to reduce SE and other health risks, a complete dry cleaning, washing and disinfection of the poultry house after each flock or at minimum once each year is recommended. Successful cleaning is hard work and requires systematic completion of several sequential steps. Every step is important. Skipping one step or doing an incomplete job at any point will make the next step harder and lead to failure. Start by removing all birds from the building to be cleaned, along with all equipment that can be cleaned in another place, such as feeders and waterers. Sweep or blow dust and other loose dirt off ceilings, light fixtures, walls, cages or nest boxes, fans, air inlets etc. onto the floor. Remove all feed from feeders. Scrape manure and accumulated dust and dirt from perches and roosts. Remove all litter from the floor. Litter can be added to a compost pile. Sweep the floor to remove as much dry material as possible. With a small coop, a wet-dry shop vacuum does a good job of removing this material. However, be careful to clean the filter often as the fine dust from the coop may easily clog the filter and make the vacuum work harder or lead to burn out of the motor. Turn the power off to the building prior to using any water for cleaning. Wet cleaning is done in three steps: soaking, washing and rinsing. Warm or hot water will do a better job getting through organic matter than cold water. You can use a cheap neutral detergent, like dish soap. Soak the heavily soiled areas (perches and roosting areas, floors, etc.) thoroughly. Use a low pressure sprayer to totally soak all surfaces. Soak until the accumulated dirt and manure has softened to the point it is easily removed. Wash every surface in the building, especially window sills, ceiling trusses, wall sills and any surface where dirt and dust may accumulate. The washing solution can be either a neutral detergent (ph between 6 and 8) or an alkaline detergent (ph above 8). Alkaline substances vary in their strength with the strongest causing burns and internal injuries if swallowed. A mild alkali is baking soda (sodium bicarbonate) and moderate alkalis include household ammonia, borax and trisodium phosphate. Strong alkalis include washing soda (sodium carbonate) and lye (caustic soda). Mix in hot water—160oF or hotter is best. Maintaining a clean, dry environment is especially important for young chicks. A high pressure sprayer is good for this step, but manual scrubbing with a moderately stiff brush is one of the best ways to insure a thorough cleaning. Inspect manually to be sure you have removed all of the dirt and manure from all surfaces. Make sure you carefully clean electrical parts. You may have to remove cover plates and vacuum those areas. If you have metal surfaces with hard water scale, then you will need to use an acid detergent on those surfaces to remove the scale. Acid detergent involves acid as the major component which is used in dissolving mineral deposits (Calcium and Magnesium precipitates) or hard water deposits from equipment surfaces. Two main groups of acid detergents are: inorganic (HCL, H2SO4), and organic (Vinegar, Citric Acid). A final rinse immediately after washing is recommended to remove any harmful residues and to obtain a spotless building. Mop up puddles as they can rapidly become breeding grounds for salmonellae. Make any repairs to the structure prior to the final disinfection step. Seal any rodent entry holes at the outside and inside of the building. Apply a small amount of spray foam insulation into the hole, then pack in fine steel wool and top with more spray foam. This is a crucial step which the small flock owner might normally overlook. Disinfectants should be applied only after the building and equipment have been thoroughly cleaned, ideally right after rinsing. Disinfectants can be applied by sprays, aerosols or fumigation. 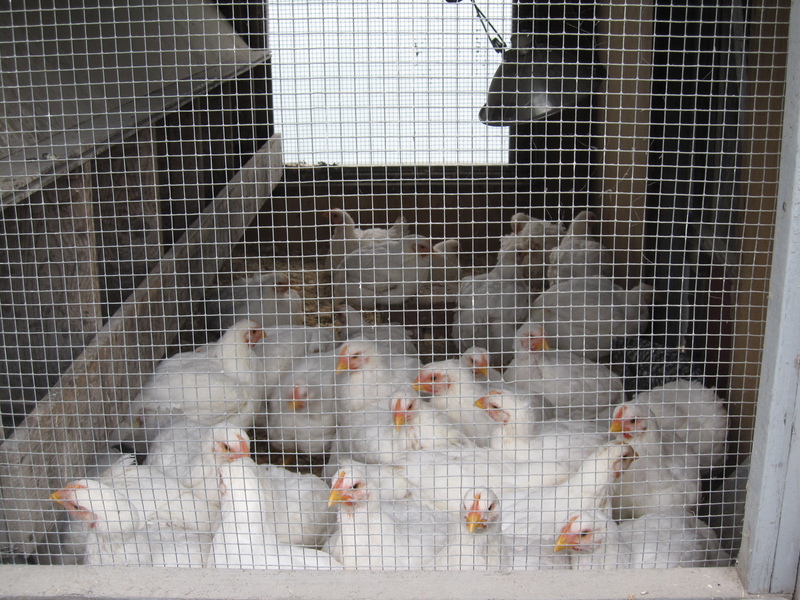 Don’t be intimidated by the thought of “fumigating” your hen house: for most small flock facilities, using a garden type sprayer is the easiest method, and chances are you already have a suitable disinfectant around the house. The types of disinfectants generally used are phenolic compounds (e.g., Pine-sol, One Stroke, Osyl), iodine or iodophors, (e.g., Betadine and Weladol), chlorine compounds (e.g., Clorox, generic bleach), quaternary ammonium compound (e.g., Roccal D Plus) and oxidizing compounds (e.g., Virkon S, Oxy-Sept 333). Follow the manufacturer’s directions for mixing and dilution of these disinfectants. A good rule of thumb is to apply at the rate of one gallon of diluted disinfectant per 150-200 square feet of surface area. For a more thorough disinfecting, soak waterers and feeders in a 200 ppm chlorine solution (1 tablespoon chlorine bleach per gallon of boiling water). Dr. Michael J. Darre is Extension Poultry Specialist at University of Connecticut. He can be reached at michael.darre@uconn.edu or (860) 486-1008. This is an excellent article, and I admit to missing on some of these steps. Thanks for the step by step process; it’s something I plan to tackle this weekend as selling eggs is a big part of my small farm business. I work for a Egg Company and we have a 2002 0r 2003 Diamond 8400 Series Egg Grading Machinery and we are have problems cleaning the stainless steel parts which there can be no water applied to the machine because of the electronics. Need tips on how to get the egg shells and dried egg off of the steel stars and the perch that runs in a machine that detect cracked , dirt and blood detectors if you know what i am talking about. Call me at 912-310-0906. Thanks AJP. I’ve forwarded your question to the author of the article and CC’d you on the email. Hopefully he will be able to answer your question. We live and work on an 8 house chicken farm with an average of 250,000 chickens every 7-8 weeks. The owners and the company decided they wanted to bleach the houses because the ammonia levels were too high. The fumes from this are leaking into our house and causing myself and my newborn respiratory problems. What alternative to bleach can I suggest to them that will neutralize the ammonia without giving off toxic fumes? Good question! I’ve sent an email to the author asking him to respond and copied you on the message. If there has been SE in coop and all birds culled,how long before new birds can come in after thorough cleaning and disinfection? Should we just build another coop? I’ve sent your question over to the author of the article and copied you on the email. Great step by step for cleaning my hen house. But I have just noticed mites on my girls. I am going to dust them all with poultry dust after I thoroughly clean the coop. But Will this process kill the lice and mites that are in the coop? I think I’ll be using bleach for the disinfecting part. I would suggest that you contact the author of this article, Dr. Michael J. Darre. He should be able to answer your questions about poultry lice/mites. His contact information can be found at the end of the text. What about how to clean the chicken run after having salmonella enteritidis? Jeanne, thank you for your question! As we are a small office and do not have a poultry specialist on staff, I will direct you to the author of this article, Dr. Michael J. Darre. You can contact him with your question at michael.darre@uconn.edu or (860) 486-1008. He should be able to provide some insight. We have 2 chickens in a coop with a sand floor. A small amount of hay is in their above-ground nest box. We keep almost no hay on the property because we are a program that houses 20 disabled raptors (hawks, falcons, etc.). Hay greatly increases the risk of aspergilloses. We scoop daily and keep the rest of the coop very clean but what is the best way to disinfect the sand? Would wood shavings be a safer alternative than hay? Thanks for your question! I am forwarding your inquiry to the author, and I have copied you on the email, so hopefully you will hear back soon! Very Informative article. I will definitely follow your advice. Keep sharing such informative things. We bought a new chicken & put her in the hen house with 30 of our other chickens & within 2 weeks all the chickens had CRI & had stopped laying eggs. We had to cull our whole flock. We disinfected the whole coop, inside & out, feeders, waterers, fences, ground, everthing with bleach (1C to 2 gal of water) How long before we can start a flock & put them in that coop? I would direct your question to Jarra Jagne; she is a poultry medicine specialist within the College of Veterinary Medicine at Cornell. She can be reached at jj34@cornell.edu or 607-253-4031. Michale, this was interesting learning about how to keep a poultry house clean. Washing everything down seems like a process could take a long time. Is this something you would recommend hiring a professional service for? To make sure that Michael sees your question, you can send it to him directly at michael.darre@uconn.edu or (860) 486-1008. Hope this helps! I have the same question about how to disinfect a sand floor. In FL. it’s about the only option we have. The chickens do a lot of digging, and quite deep as they’re trying to reach cool spots in the summer. What is the best thing to use on sand where it can’t be dried. I have emailed the author your question and CC’d you. Hopefully he will be able to answer. Thank you very much. I hope to hear from him soon. Out of nowhere my flock of 38, with broody hens getting ready to hatch chicks within a weekish, have come down with some sort of respiratory issues. 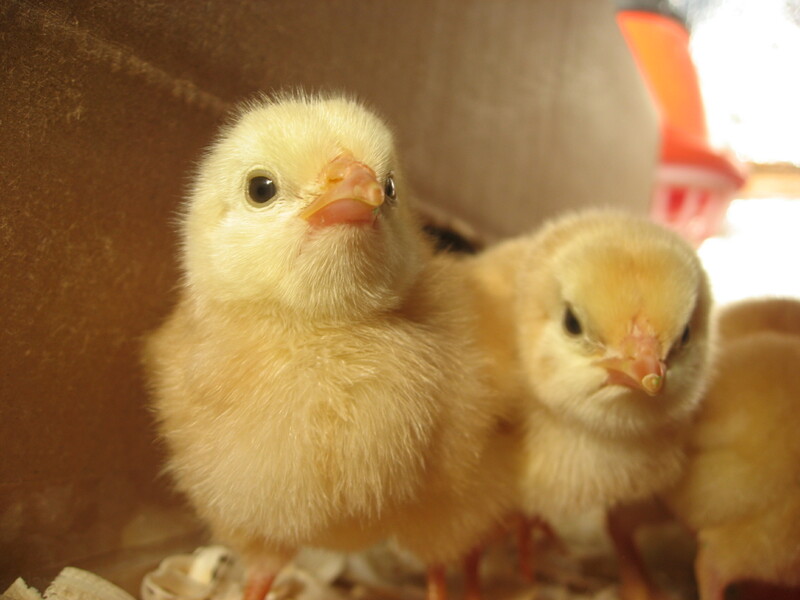 I have put them on antibiotics, vetRX, and the vitamins and probiotics, and they’re getting better but I’m worried about any residual effects and the chicks, especially when it’s impossible to dry sandy soil. Consider using vinegar as a fabric softer instead of the commercial fabric softeners as they tend to leave a residue on the machine. Moreover, vinegar kills germs, removes sweat stains, and prevents the buildup of lime scale in the washer. i have a sick rooster and hen . and i have put them down. how do i disinfect my coop where the sick chickens are? It is going to depend on what the chickens were sick with, but as long as you follow the cleaning, washing, nd disinfecting steps listed in the article, you should be fine. You may want to double check with a local vet to be sure. What is the best dosage of dilution if we disinfect farm with Chlorine tabelts ( Troclosene sodium) ? In presence of poultry birds or in vacant shed. Hi Mirza, thanks for reaching out to Dr. Darre. As he does not work in the Small Farms Program office, you will have to contact him directly with your question. Please email him at michael.darre@uconn.edu or call (860) 486-1008. I’d recommend getting in touch with the author of this article. He can be reached at michael.darre@uconn.edu or by phone at (860) 486-1008. Hope this helps! Thank you for sharing this very useful experience, I will keep this for practical application for better chicken care.